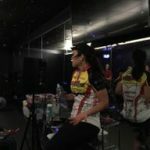 Does Spinning® or Schwinn offer an online instructor certification? Spinning’s® certification – they call them “orientations” – are not available online, only as live classes. Same with Schwinn, nothing online. There are a couple of options online – but I would first read this post about our recommended strategy for learning what the requirements are – at the club or studio where you’d like to teach. It won’t do you any good to complete an online certification, only to find out you needed something different. The best example is an official/branded Spinning® Studio. 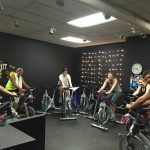 The studio’s agreement with Mad Dogg Athletics (the owner of the Spinning Brand) is that every Instructor who teaches there will have a Spin® certification. It doesn’t mean you can’t have additional certifications, but you do need Spinning’s before you’ll be able to hold a class schedule. Schwinn doesn’t enforce the same restrictions on clubs who use their Performance AC indoor cycles. Clubs that use the Schwinn bikes may want you to go through their certification so you have an understanding of teaching with power and using the MPower Console. If you choose the online certification route I’d direct you to either Cycling Fusion or Team ICG. Both offer very comprehensive training programs and should be acceptable to any studio that doesn’t specify where you need to be trained before they will hire you.